City of Murphysboro City Council met Sept. 28. #701 Back-up camera – as of 6/30 is a legal requirement. #702 page 5 Chad Roberts 4 payments? Added together and Mayor had that amount taken out of his last paycheck due to him overspending on his clothing allowance. Attorney Blake stated it is legal. Alderman Erbes asked if Roberts had paid it himself – no, bills received from the vendor. Alderman McComb asked if we vote on a clothing allowance? Yes. Do we write them a check? Yes. If they place an order they write a check back to the city. Leslie Mulholland stated they just became aware of these bills recently. #702 page 2 Classic Garden – flower containers from Long Shadow-City, Main Street or Smysor? Mayor Stephens answered that we will be reimbursed by Main Street. #702 page 2 Clover Roofing – final bill on roof? Yes. #702 page 3 Water Department? Customer wrote 1 check for deposit and old bill. Motion: To approve the accounts payable, registers #701 & 702 through August 28, 2018, and payroll through July 31, 2018. All aldermen received a copy of the accounts payable for their review, prior to the meeting. Vergennes Billing Policy: Alderman Campos asked if an equipment charge should be added? Mr. Evans replied that they created a template to calculate labor charges but Motor Fuel sets the rates for equipment used. Alderman Bratton stated they did a great job and need to date it and send it to the Village of Vergennes. Mr. Lee also stated that it looked good. Alderman Pittman asked if Vergennes can get someone else to perform the work? Yes. Motion: To adopt the City of Murphysboro Water Department Work Order Billing Policy. Motion by Alderman Bratton Second by Alderman McComb Alderman Pittman called for a voice vote. All were in favor. Financial Reports presented by Budget Officer, Scott Evans: running a deficit, still mainly due to paying for the new console and the payments made to the police department but has been consistent all year. Salaries in July were under budget. CD rates are gradually rising. Sales tax is through August and is the highest August since raising the rate. Income tax is higher for August as well. Healthcare is in line. Will be renewed in October, have gotten some bids and will be meeting. Alderman Erbes stated that the tax bills may not go out until October. Mr. Evans stated that they are working on that and may be able to get them out in September, the Police and Fire Pension audit is almost completed. Painting of Fire Station #2: Chief Swafford stated that he is waiting on someone to come by. It may be cheaper to replace with vinyl siding on 3 sides. Alderman Pittman asked if they would need bids? Alderman Erbes stated he thinks siding would be the way to go. Alderman Bratton asked if we remove what is there, will it need to be tested for lead? Can we have someone remove it internally to save some money? Mayor Stephens suggested that bids be gotten for siding and painting. Alderman McComb asked if the city removed it, do we have a truck that will reach? Yes. Alderman Bratton suggested getting bids on 2 ways – just for siding it and the other for removal and installing new siding. 17th Street Building on Walnut Street – per Alderman McComb they had to change their plan a bit due to some structural issues. Dirt and Water Spigot in Alley off of 23rd and Gartside Street: Alderman McComb and Alderman Bratton went by the site today. Will need Blankenship to set 2 survey markers so the alley can be marked. Believes the dirt is in the alley and the spigot is real close. Once it is marked can gravel it and then will maintain it. Alderman Bratton agreed and wants to see how much it will cost to gravel it and see if it can be done this year, then will bring it back to the council. Mayor Stephens stated the attorneys have a digital version and can send to Blankenship. Alderman McComb requested that Blankenship call when they are going to mark it so that he will know exactly where the markers are at. Mow to Own Program: Mayor Stephens stated he was approached about a year ago by Carl Clover who expressed an interest in mowing for however long the Council determined on city owned lots and then take over ownership. Sandra is putting a list together. Alderman McComb stated it would help free up city employees. Need to figure out the cost to mow. Alderman Campos stated they have this program in St. Louis and are we going to require them to build anything, improve the lot? Mayor Stephens stated that would have to be determined. Alderman Pittman asked if it would be offered to the adjacent property owners first? Could state how they have to maintain it. Attorney Blake stated would have to look at what kind of criteria. Alderman Bastien asked if Mr. Clover stated why he wanted these properties? Mayor Stephens stated he expressed a genuine concern for bettering the community. Alderman McComb added that he is a good man and does what he says and that this would save the city employees a lot of time. Each Alderman could go around their ward and speak to the adjacent property owners. Alderman Pittman asked what would be done if both neighbors wanted the property, would they have to bid on it. Mayor Stephens stated he will gather some examples and do a draft policy. Public comment: Mrs. Marfio asked if they could do the Mow to Own with the alley in question since they have been maintaining it all these years. Alderman McComb stated it was brought up 2 years ago. Mr. Marfio stated it was brought up and pushed aside. Mrs. Marfio stated they could divide the property with their neighbor. Mr. Marfio stated they have sprayed it and he sloped it due to water issues. Alderman Bratton stated the council will take all that into consideration. Discussion and Approval of the Ameren Franchise Agreement: The City Pole Attachment Agreement is a separate agreement. The Electric and Gas Franchise Agreements used to be credits and now are cash payments. Based on number of customers within the city, nothing is out of order. Alderman Bratton asked if agreeing to the Franchise Agreements will hurt the pole discussions? Attorney Blake stated there are only 8 attachments. Mayor Stephens noted the phrasing “Most Favored Nation”. Attorney Blake stated that if there is a similar situation with someone else and the city gives them a better deal, the city would have to do the same for Ameren. Alderman Pittman asked if the credit used to be applied to the bill, will the bill now increase? Mr. Evans stated yes but the cash amount is higher so that will be offset. Motion: To accept the Ameren Franchise Agreement. Motion by Alderman Bratton Second by Alderman Bastien Alderman Erbes called for a roll call vote. Alderman Bastien opened discussion for Public Improvement related items. Old business: Nothing at this time. Mobile Ranch: Mayor Stephen stated that Mr. Sheffer was going to get some information concerning master metering but he is not here tonight. Mr. Lee stated he will make that call. Motion: To declare police vehicles as surplus and be sold at auction – 2001 Dodge Dakota and 2005 Ford Crown Victoria. Motion by Alderman Campos Second by Alderman Bratton Alderman Brown called for a voice vote. All were in favor. September 10th is the cutoff date for applications for Police Chief and will then schedule interviews. Jarod is back to work. Welcome Steve McBride as the new Fire Chief. No public comment. Consideration of Settlement of Pending Complaint to make safe and secure Brown Shoe Factory property: Attorney Heller received a call from Mrs. Homan’s attorney. Carol Homan was under the impression that they whole building needed to come down. Attorney Heller explained what walls needed to come down and fencing needed to be put up to make safe. There were no attorneys at the hearing. Still waiting to hear regarding bids to tear down 3 walls and put up fencing. Mayor Stephens expressed his disappointment that no one attended the hearing. It is still dangerous. Will check with the Code Office concerning this as it has been 5 years and nothing has been done. Update on Annexation of the Cliff Mills property: Based on the minutes of the committee, have signed off on their support. Attorney Blake stated no motion is needed tonight as it is not formalized yet. Will have to rezone. 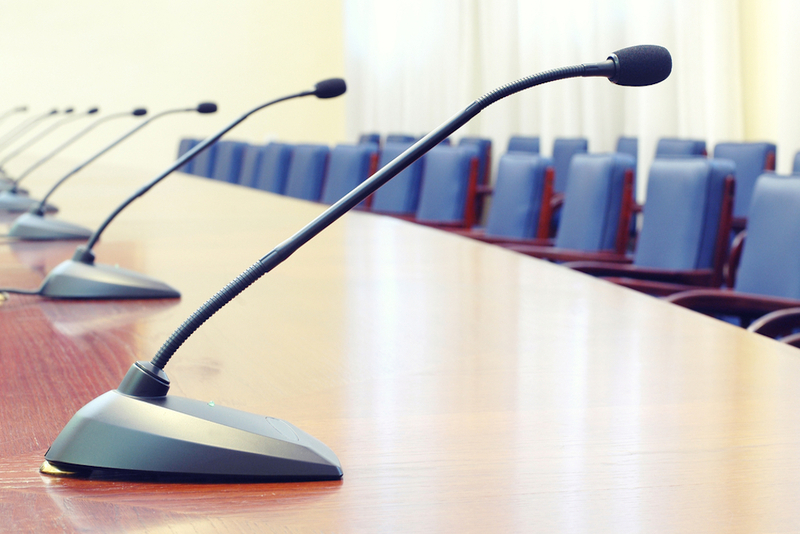 Have to set a public hearing – can do that before a council meeting and then can take that into consideration. Will have to publish it in the newspaper. Suggested September 25th. Mayor Stephens stated it can be held immediately before the September 25th meeting at 5:30. Alderman Hughes asked if it will affect the property on Cardinal Lane. Attorney Blake replied it is not included, only what Cliff Mills and his sister own. Attorney Blake stated that the annexation agreement will have to be amended as Park District taxes cannot be abated. Mayor Stephens stated it was not his intention to abate Mr. Mills’ taxes. We do not have to attach this to every annexation we offer, Mr. Mills approached the city. Alderman Pittman agreed and Alderman Hughes stated that it should not be offered to everyone. Attorney Blake stated it is in the agreement that was presented to Mr. Mills. Mayor Stephens stated since it is in there it will have to be kept in. Jim Stewart – Nominated for Operator of the Year: Mayor Stephens stated he appreciates his continued hard work. WWTP – Nominated for Best Wastewater Treatment Facility – Mayor Stephens acknowledged all the hard work that has been put forth on the new facility. Angelo is in attendance, from the Chamber of Commerce. Stated is here to keep connected. Scott Evans Since the Water Treatment Plant was nominated for Best Wastewater Treatment Facility, if you haven’t seen it, you need to. Very nice. Steve McBride Thanked the Council for their confidence placed in him and he looks forward to working here. Motion: To go into executive session at 7:27 p.m. to discuss matters related to 5ILCS 120/2(c)(1) regarding the appointment, employment, compensation, discipline, performance, or dismissal of specific employees of the public body or general counsel and to discuss matters related to 5ILCS 120/2(c)(5) regarding real estate purchase. Motion: To come out of Executive Session at 8:02 p.m.
Barb Hughes Council is feeding the football team October 19th. Will need help with finances and serving and have someone shadow her for next year. Will try to get the meat donated. Jance Curry-Witzman Truck on 17th Street – why is it getting turned? To not face the street. Russell Brown Joe going to start soon on the new hotel? Mayor Stephens stated he had spoken to Joe and the site plan is done, IDOT has approved the new entrance and will be trying to get started this year. Gary McComb Asked if Eric can instruct the City Inspector when driving down streets and sees signs in the boulevard to stop and remove them and take them to the Public Works building where they can be picked up. Also to be more pro-active in getting people to mow. John Erbes Congratulations to Jim and all the workers for their nominations. Mayor Stephens Receiving weekly FOIA requests from Mr. Wisely.